Coming soon to an iPhone XR near you. Apple didn’t make a big thing about iPhone XR accessories that will be available when the less-expensive device launches later this month. 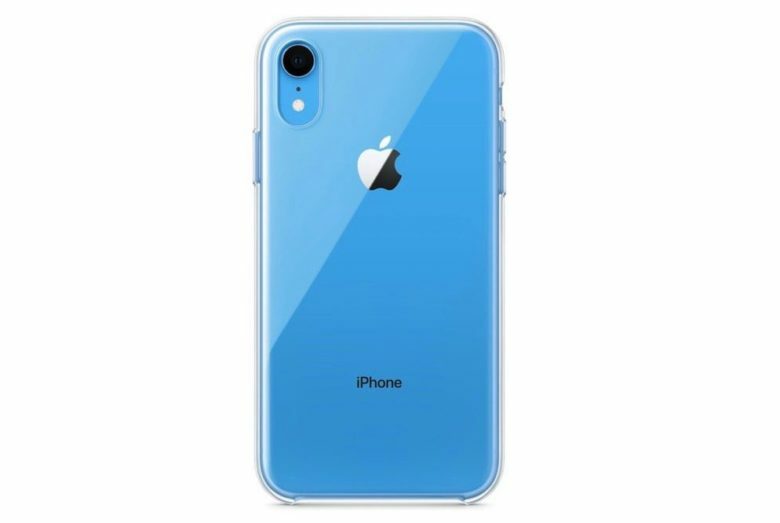 However, an eagle-eyed iPhone XR fan (try saying that several times fast) spotted a new clear iPhone XR case mentioned in one of Apple’s regional press releases. In Canada, and potentially other locations, a line tucked away in the iPhone XR press release notes that Apple will release a clear case for its LCD handset. We presume it will be available in the U.S. as well. The case looks pretty standard, with a minimalist design and all the right cutouts to accommodate the new handset. However, given that the iPhone XR will come in a colorful range of options — including black, white, red, yellow, blue and coral — that’s probably all you’ll need to show off your iPhone XR without worrying about scratching it. The press release notes that it will retail for CA$55 in Canada, which translates to about $40 in the U.S. That makes it pricier than most other clear cases. However, it won’t come with any additional logos or other odious markings that third-party vendors might be tempted to add. iPhone XR: A big hit for Apple? The iPhone XR could well be the sleeper hit of 2018 (if an iPhone can ever be classified like that). Even Apple, which gave the handset the main event spot during its recent keynote, may have been surprised by fan enthusiasm. Shortly after Apple unveiled the new iPhones, reports surfaced suggesting that Apple was revising the ratio of its total iPhone orders for December. Now, the iPhone XR reportedly will make up more than 50 percent of Apple handsets manufactured. The iPhone XR packs the same powerful internals as the iPhone XS and iPhone XS Max, but boasts just a single camera lens on the back instead of two. It also comes with an LCD display instead of an OLED one. However, these compromises bring a welcome price reduction — the XR only costs $749, while the other models start at $999. iPhone XR preorders start this Friday, with the device landing in Apple Stores on October 26.